Specialists advise that a boiler should regularly be serviced. This helps unveil any defects that could lead to major breakdowns especially in the winter. A warm home keeps you and your family warm and comfortable. Eco Efficient will help make sure that you do not have to face the crisis of a malfunctioning boiler. Maintaining your boiler properly will help you save money. This is because a well-serviced boiler will have a longer lifespan thus making sure you get maximum returns on your investment. It will also help you save on extreme costs associated with boiler repair. A boiler is the cause of at least 50% of your energy bills. When your boiler is running efficiently, it uses less energy thus dramatically reducing your heating bill. Servicing your boiler is a safety precaution. A faulty boiler can leak carbon monoxide gas which is a poisonous gas that can cause death. Our engineers will diagnose such leaks during servicing thus ensuring your home is safe. 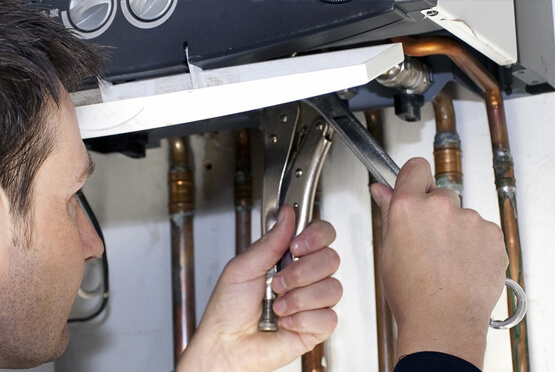 Given the necessity of a boiler in your home, you should always ensure that it’s only handled by qualified people. Eco efficient offers reliability, competence, and affordability all in one package. Therefore when you need boiler servicing in Cambridge contact us. A malfunctioning boiler can cause disruptions in your home. It is therefore important to ensure that you get it fixed as soon as possible. Eco Efficient is the best option. Our engineers are dedicated to ensuring that your boiler is running perfectly within a short time. We also offer our services anytime, be it day or night. This is because we understand that a boiler could break down without warning. Having a boiler installed in your home ensure that you have hot water and warmth at all times. You will need the best expert to install your boiler so as to avoid problems in the future. Our engineers are trained to standard. So if you are in need of boiler installation contact us. Having gas and boiler leaks is not only annoying but worrying as well. Leaking gas can be very dangerous. You will, therefore, need this fixed as soon as possible. Eco Efficient provides certified and gas safe engineers who will ensure that they fix all the leaks. Eco Efficient is the best when it comes to central heater installation. Due to the complexity of this task, only capable and experienced engineers should handle this. We have years of experience on this, and our reputation presides us. Therefore call us for central heater installation. A faulty boiler is dangerous and risky. This is because it emits poisonous gases which can lead to fatality. You should never allow amateurs to fix your central heater as they are not trained to catch all the problems. Eco Efficient offers you dependable and qualified engineers.